– GlioSat, a space biomedical experiment with the goal of investigating the combined effects of microgravity and ionizing radiation on Glioblastoma cells behavior, leaded by the Aerospace Engineering School with the support of IRCCS research center and Space Science Center at Morehead State University. – A stand-alone system for high definition digital imaging. The purpose of this system will be to observe Earth’s surface, as well as space debris in situ. It is composed of a camera, a telescope, C-band & S-band transceivers. Every component of this system is a commercially available product. – MRFOD (Morehead-Roma FemtoSat Orbital Deployer), a student-built technology demonstrator which will result in the ejection of PocketQube, tiny satellites under 400 grams, proposed by Professor Robert J. Twiggs KE6QMD. – GAUSS CubeSat Deployer System, a student-built technology demonstrator which will allow the deployment of a CubeSat. 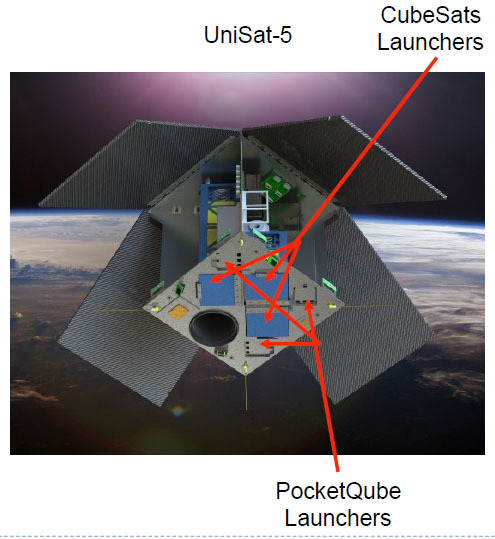 The PocketQubes are tiny satellites just 5 by 5 by 5 cm and weigh around 400 grams. Wren will be the first PocketQube to have miniaturized µPP-Thrusters and will use a new image based navigation system. Its UHF downlink will use an 1/8 wave antenna. It is thought there may be as many as 32 satellites on the launch plus an experimental avionics package BPA 3 attached to the third stage of the Dnepr launch vehicle. Initial frequency information for BRITE-PL1 (20 x 20 x 20 cm) indicated it may have had an amateur radio payload but it appears it only has a downlink on 2234.4 MHz. 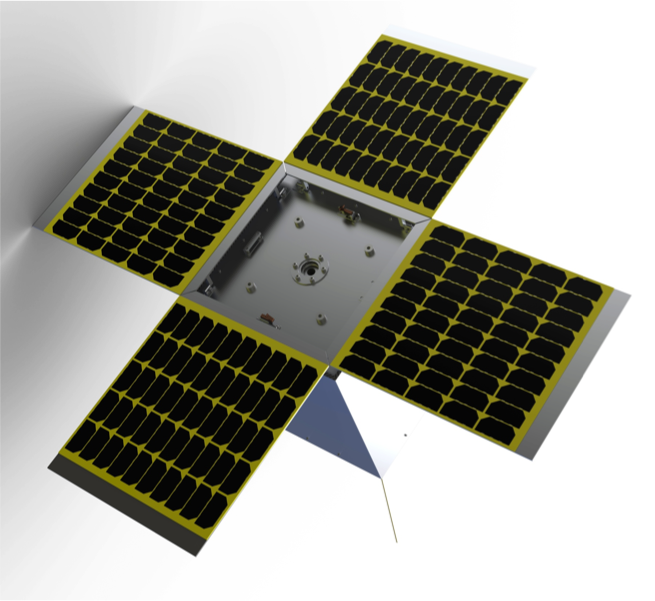 Also on the launch will be the Ecuadorian 1U CubeSat NEE-02 Krysaor which has fold-out solar panels. It carries a 0.9 watt HD TV transmitter that initially was thought to operate, like it’s predecessor NEE-01 Pegasus, on 910 MHz (North American 33cm amateur radio band). The HD TV downlink is now understood to be in the 980 MHz band where it is believed a beacon will send a Morse Code ID, a Slow Scan TV (SSTV) image and Ecuadors national anthem. A list of the coordinated amateur radio frequencies for the Yasny Dnepr satellites is available here.